When I was contacted by the lovely people at Bank Fashion and challenged to the #glitztokicks styling task, I was instantly excited. A styling challenge it one thing I will absolutely always take on, and this idea seemed perfect as it was so simple; taking a dress from day to night. For those dresses that are just TOO good to be kept for just one outing in a day. Having a dress that can carry you through from daytime to nighttime is a must, and sometimes all you need to change is your shoes. But before you can think about your shoes, you need to think of the dress. You don't want to be doing your Tesco shop or walk in the park in your embellished mini, but that doesn't mean you need to stick to a jersey tee dress either. For this styling task, I decided to go for a printed cami dress. Monochrome, for easy accessorizing, and A-line, not too restricting but still pretty. Me personally, I sometimes feel a bit too exposed in cami straps, especially in all the glory of full on daylight (I feel so much more comfortable when its that little bit darker, is that just me?). So I decided to throw a simple grey Tee underneath, a summer layering style I have seen about quite often this year. 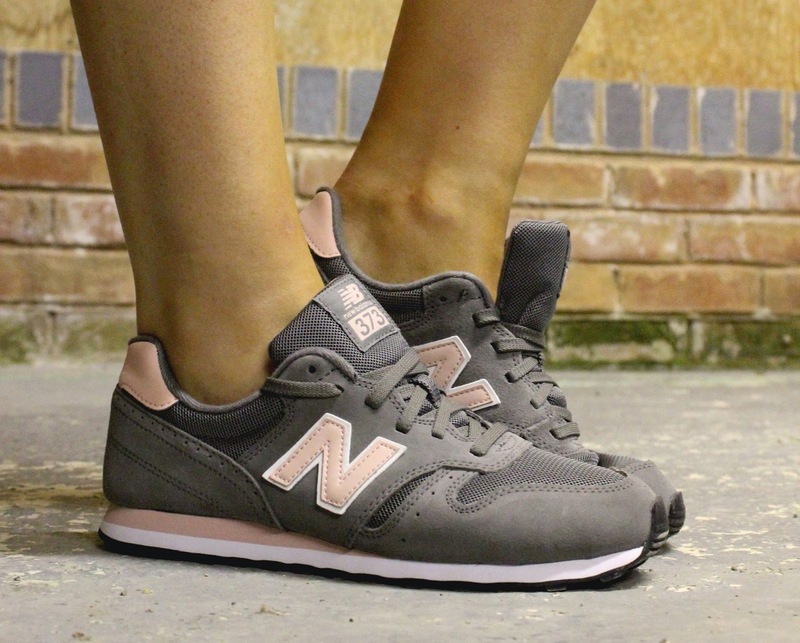 The trainers are my favourite part of this outfit, as I love the grey and baby pink together and they complete the casual, easy wearing look. They are just the right amount of girly to make these trainers woman friendly too. I picked out the baby pink with a clinched waist belt to tie the look together. So here is my daytime look for the #glitztokicks challenge, and my nighttime look will be following tomorrow! I hope you like what I have come up with! What a fun challenge! Love the way you styled the dress with the top and that awesome hat!